Image Courtesy of Engadget. 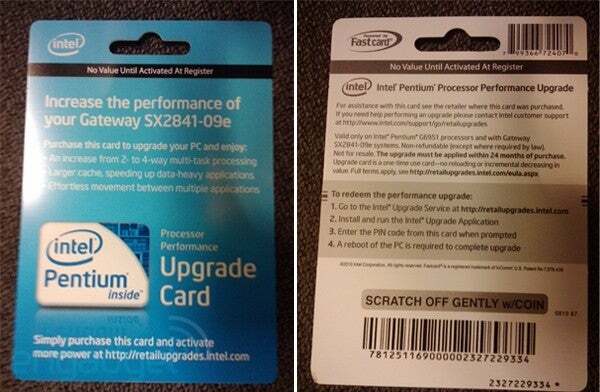 Shown here is Intel's upgrade card that allows you to get more performance out of your existing Intel processor. Update: UPDATE: Intel has confirmed the Intel Upgrade Service pilot program will be available to home computer users. Here is how the program was explained to me via e-mail: "This pilot program is for one Pentium processor line item. Under this pilot an end user buys a Pentium processor-based system, likes it, and wants a performance boost, they can do this online upgrade if they want. [This] Saves them from buying a new system or taking in their system for a physical upgrade. 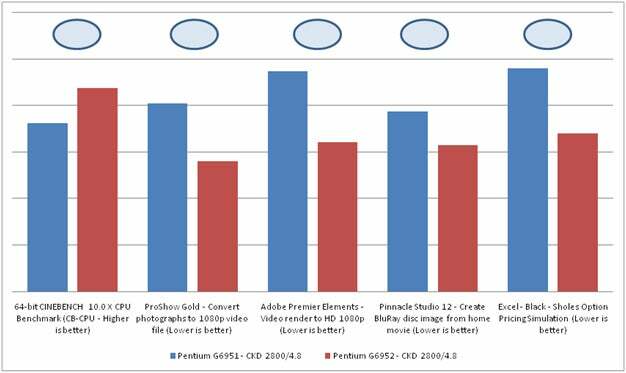 The Pentium processor line doesn't normally add HT [hyperthreading], so this adds it."